Official synopsis: "A dark and tender post-apocalyptic love story set in the aftermath of a bloody war. 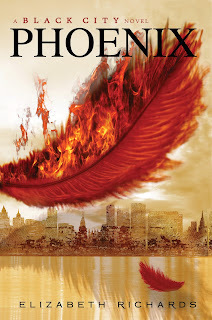 In a city where humans and Darklings are now separated by a high wall and tensions between the two races still simmer after a terrible war, sixteen-year-olds Ash Fisher, a half-blood Darkling, and Natalie Buchanan, a human and the daughter of the Emissary, meet and do the unthinkable—they fall in love. Bonded by a mysterious connection that causes Ash’s long-dormant heart to beat, Ash and Natalie first deny and then struggle to fight their forbidden feelings for each other, knowing if they’re caught, they’ll be executed—but their feelings are too strong. When Ash and Natalie then find themselves at the center of a deadly conspiracy that threatens to pull the humans and Darklings back into war, they must make hard choices that could result in both their deaths." First off I need to say that this review might not be exactly coherent. I have so many thoughts and feelings about this book right now that I'm beginning to worry slightly how I'm going to say everything I want to say and to actually make those words make sense. Buckle in kids, this could be a long one! Haha! And holy cow what a ride! From the start we're taken right into the heart of Black City, to... er... well... Black City itself. Ash is a Darkling, and it is with him that the tale begins. He exudes confidence, sexiness, he has a raw power about him, something that makes you instantly take notice of him, and he's also a dealer. Haze. A drug that Darklings possess in their venom that makes humans go into a state of pure bliss. He doesn't want to deal, but things are bad. It's only been a year since the war ended, segregation has torn the city in two and it's the only way he can get the money that he, and his human father, so desperately need to survive. It doesn't help that when things go wrong with his latest client, Natalie Buchanan, the daughter of the Emissary turns up. Ash makes a dash for it, hoping that that will be the end of his trouble, but Natalie Buchanan isn't far off. Soon she joins normal school and Ash is forced to confront her every day. But soon these feelings of loathing, this tension, melts away and it's replaced by something else, and it soon becomes clear that Ash and Natalie are meant for each other. They're Blood Mates. But it's illegal. Humans and Darklings - even twin-blood's like Ash - are not allowed to be together. It's forbidden, punishable by death. Soon, the world of Black City itself becomes more and more dangerous, with less places to hide, and with conspiracy and betrayal everywhere, it's hard to know who can really be trusted. 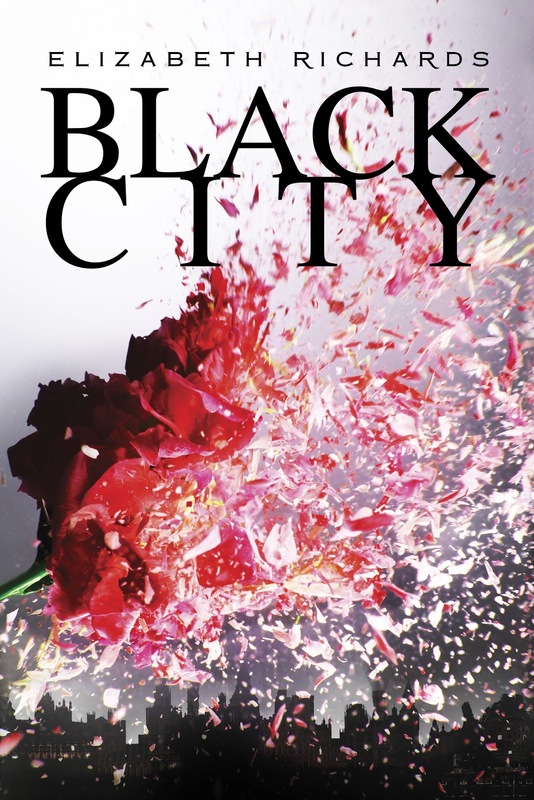 I'll be honest, from the synopsis of Black City, and from the reaction I'd seen from people reading it, I expected to like it, but not as much as I do. I love it. It's taken me completely by surprise. I won't lie, I am tired of vampires. Sick and tired of them. I know many of us are. Where are the monsters? Well, although the Darkling's here aren't ripping people to shreds left right and centre, there is an element of their natural monstrosity there, and Ash himself struggles with this. When dealing Haze he wants to feed, it's his natural instinct as half-Darkling, but he fights it. But the story we have here is different. It'd be so easy to liken Black City to Twlight. Boy meets girl. Boy's a vampire, girls a human. They try to steer clear of each other but end up falling in love. Boy wants to eat girl. But to be honest, I'd find that offensive. Because this is so much better. The element here of religion is brilliantly placed and one that sent shudders down my spine. The governments favourite form of execution? Crucifixion. And the scenes here in the book are not for the faint hearted. I squirmed. Had to stand up and pace a bit while I was actually reading it. But it works. It fits here. Darkling's are behind the wall, segregated from humans, although Ash is free as he is a twin-blood, but are punished the same. The characters here are a great bunch. Natalie is strong-willed, and defiant of her mothers wishes. Ash is cocky, yet charming and as I said earlier exudes this kind of sexiness in the way he's described and in the voice used for the parts from his point of view. Sebastian, Natalie's bodyguard, and also her ex. A wolf in sheep's clothing, I'd say, not what he tries to make out he is. Power-hungry. Dangerous. Day and Beetle. Roach and more. A great cast that's well balanced. There are elements of terrorism and of previous world wars, in particular concentration camps which actually made me wince when I was reading it. Everything about the book has a stark sense of reality about it, one that's powerful and makes you want to see what happens next. The writing is beautiful. It's so smooth, the transition from Natalie's voice to Ash's is so clear cut and neat, you have no problem just leaping back into the story. The book itself is a real page turner and it's pretty darn addictive. I'm not a big romance fan, and the book is pretty romance based, but it's handled well and it doesn't read all sloppy and gooey like some romances do. The sexual tension is palpable and well written. To be fair, this book is just simply amazing. 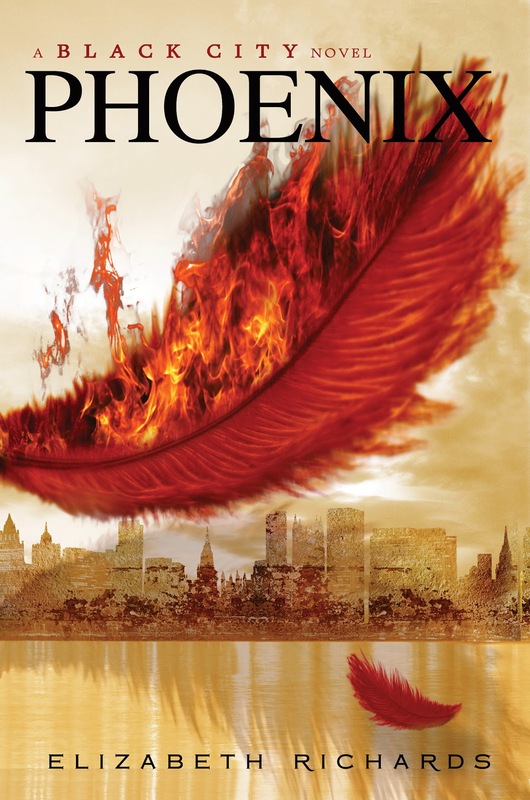 Elizabeth Richards has done a fantastic job and I simply cannot wait for the second book in the trilogy, Phoenix which is out in June! Why is June so far away? I want to weep, then hibernate all the way through to June so I can wake up the day my copy arrives. Honestly, do not miss out on this book. I'm not sure if it even has a UK publisher yet, but fear not, you can order from the Book Depository below and it's the same price as if the book was in the UK! Bargain! And free delivery world wide. So there's no excuse now. Read it! Do it! READ IT! Black City is a favorite of mine that I must recommend. Dystopian fans HAVE to read this one. And romance fans because it is one steamy romance. Really everyone should just read it! Cover art for ACID unveiled! What To Read This Christmas?